Sony's latest XDCAM shoulder-mount camcorder, PXW-Z450 is capable of capturing 4K (3840 x 2160) picture quality from its new 2/3-type Exmor R™ CMOS sensor. 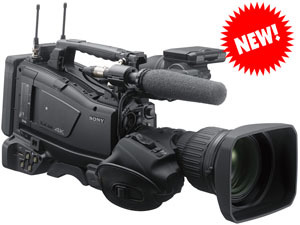 The Sony PXW-Z450 camcorder combines enhanced weight balance and low power consumption with field production features needed by broadcasters, including pool feed and multi-format recording. Users can attach standard B4-mount lenses directly onto the camcorder's body without the need for an adapter, providing the flexibility to easily change lenses. The Sony PXW-Z450 camcorder also supports multi-format recording, allowing users to shoot at 1080p HD and switch to 4K 60p. The PXW-Z450 supports XAVC Intra and XAVC Long for 4K recording as well as MPEG HD422. 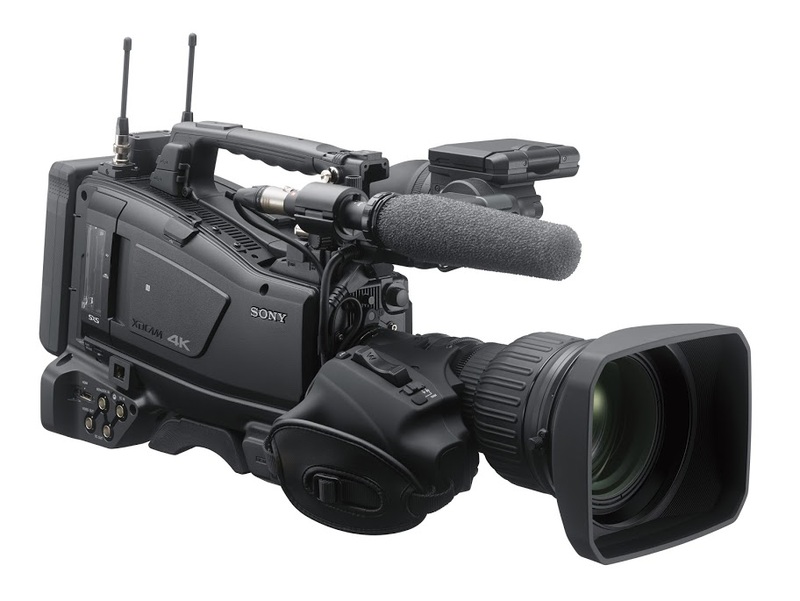 With high zoom ratio and depth of field, the Sony PXW-Z450 supports pool feed functions (HD/SD-SDI), allowing broadcasters to record an external signal on an SxS card from another camera on-site without a portable deck. The Sony PXW-Z450 inherits many features from Sony's PXW-X400. This includes the "ONLINE button" which lets users transmit proxy clips or stream AV signals to other equipment connected on the network. For current Sony PXW-Z450 users, Sony will also introduce a 4K upgrade kit (CBK-Z450UK), which will offer users the same functionalities of the PXW-Z450. The Sony PXW-Z450 is a body-only model with no lens or viewfinder, but it can be paired with the optional HDVF-series full HD OLED viewfinder (HDVF-EL20/EL30). The Sony PXW-Z450 is scheduled to be available by the end of 2016. The PXW-Z450 supports a variety of 4K and HD formats, including 4K QFHD (3840x2160) at 50p/59.94p, using the XVAC Intra and XAVC Long GOP, MPEG HD 422 and MPEG HD 420 workflow standards. The camcorder's specially-developed 4K 2/3-type Exmor R CMOS sensor provides superb image quality and high sensitivity. The sensor matches B4 mount lens systems, allowing you to use commercially-available B4 4K/HD lens systems without the need to use an adapter. PXW-Z450 is the world-first* 4K shoulder-mount camcorder and it inherits design concept of the PXW-X400 XDCAM camcorder with a favorable reception. Thanks to its ergonomic design, the PXW-Z450 camcorder achieves optimized weight balance to lessen the weight on the lens grip and stable image shooting. *As of April, 2016, based on Sony's research. The camcorder supports a variety of Sony's viewfinders, including the Full HD OLED HDVF-EL30 and HDVF-EL20. The OLED viewfinders take an advantage of focusing the 4K shooting. An embedded RJ-45 Ethernet 100B-T connector on the right side of the camcorder provides a robust and fast network connection that can be used for file transfer, live streaming and camera control from a web browser. By optimizing the design of the hardware, the lightweight camcorder has a low power consumption. 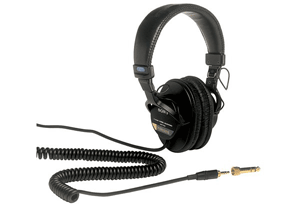 This enables continuous recording operation for long hours of filming.